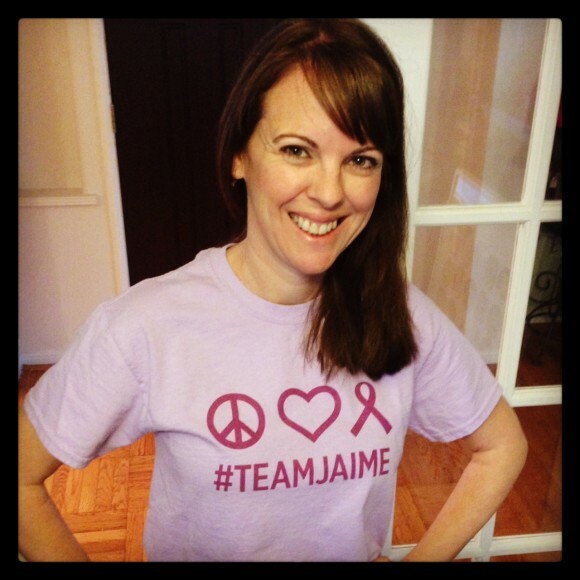 A few weeks ago my blogging friend, Jaime, let everyone know she has breast cancer. My heart sank. I had just spent time with Jaime at a conference last month. We sat together, laughed, and had a few moments to catch up. 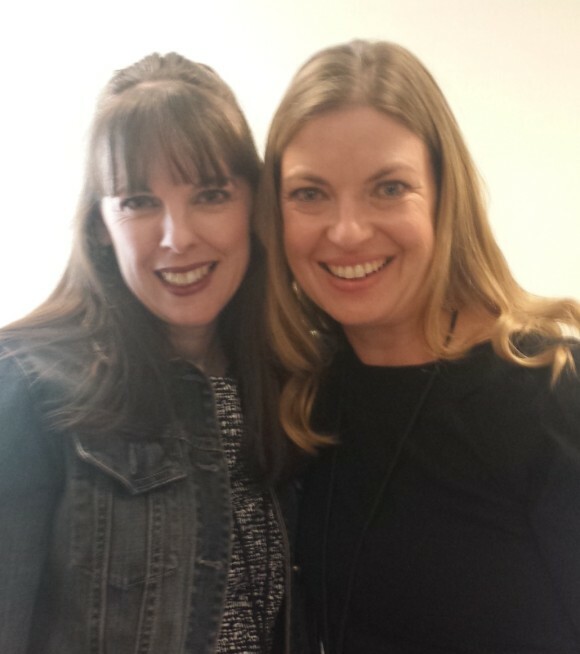 Even though we cross paths daily in the blogging world, it’s always nice to see your virtual friends in real life. What bothers me about Jaime’s diagnosis is that she is young. Too young to be dealing with this. I am angry for her, because she is way too positive to be angry herself. I know Jaime has a huge support group at home with her family and friends. Her virtual friends in the blogging community wanted to find a way to show Jaime that we are thinking about her every day. I don’t live close enough to give her a hug, but I can wear this shirt and let her know that I’m thinking about her by sending her random Tweets, Facebook posts, and photos on Instagram using the #TeamJaime hashtag. We are #TeamJaime. We got a shirt designed for us to wear and create a social media frenzy. Over 150 shirts were ordered, and we will be wearing them with pride. We are sending peace, love, and hope to Jaime while she beats this thing. A huge thank you to Dennis Beckner from Mission Shirts for making #TeamJaime a reality. And to all of you who knew about #TeamJaime, thank you so much for making this happen. If you’d like to order a shirt head over to the Mission Shirts Etsy store. My latest obsession: StitchFix Camp Galileo: Adventures Down Under! Rally the troops, get your new Team Jaime shirts!